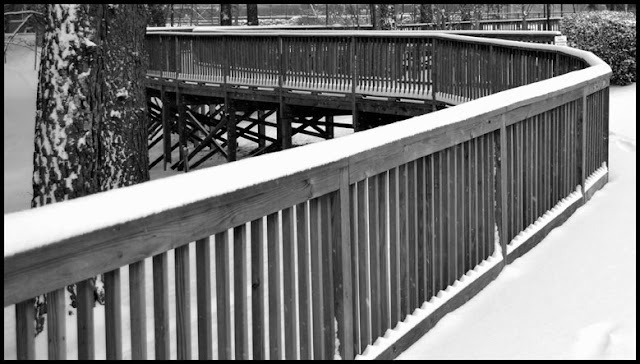 The recent snow in Sun City Carolina Lakes cloaked familiar scenes with an unfamiliar look. For more great black and white photography, go to The Weekend in Black and White! Strong lines in this shot; guess you don't get too much snow there usually. Sun City looks a bit chilly! I like all the lines. I like the lines in the photo. A photo in my taste. Fabulous - I love all the vertical lines. All those regimented lines curving away all iced with snow look brilliant in monochrome! love the curve and the way it carries the eyes into the image.